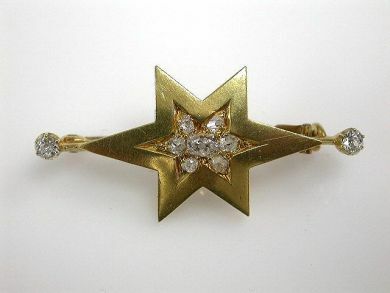 One 18 karat yellow gold Victorian star motif brooch. Three old mine cut diamonds (0.41 carats: SI clarity: H-I-J colour). Six old European cut diamonds (0.26 carats: SI clarity: H-I colour).